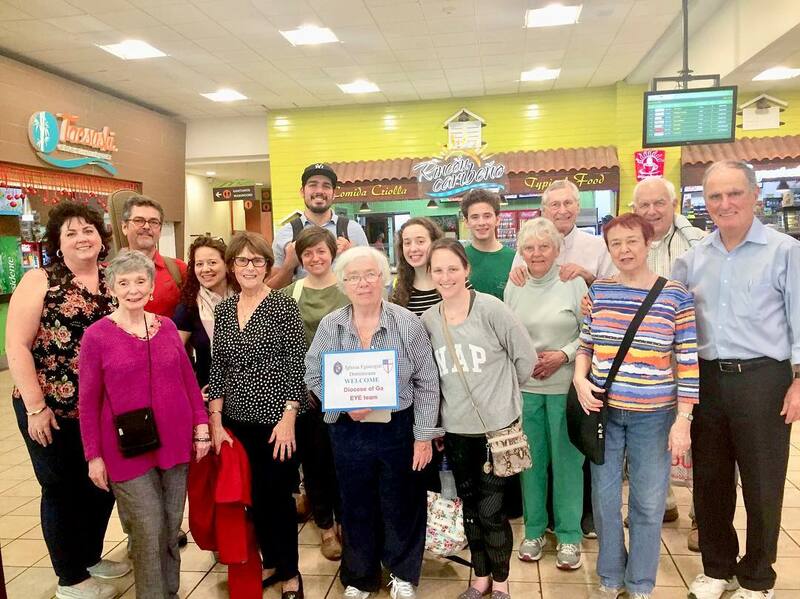 A mission team from the Diocese of Georgia being welcomed at the Santo Domingo airport in February, 2019. To see an album with group photographs of all of the 2019 teams to date, click here. PLEASE NOTE (DECEMBER 20, 2018): The Dominican government’s Ministry of Health has recently issued new regulations governing the activities of medical mission teams. These involve the credentialing process for all medical personnel on the team, the minimum expiration dates of all imported medications, and oversight of the team during the trip. If you are contemplating a medical mission trip in 2019, please contact Patricia Martin in the mission team support office early in your planning process at <drequipos@gmail.com>. PLEASE NOTE (JUNE 1, 2018): There has been a significant change in visa requirements for those traveling to the Dominican Republic. The US$10 fee required for a 30-day entrance visa is now being applied to the cost of airfare and is no longer being collected during the immigration and customs process at Dominican Republic airports. The US$10 charge is not being dropped, but is paid in advance as part of the airline ticketing process. This should speed up the overall arrival process for arriving mission teams and other visitors from the United States. Click here for a list of incoming mission teams and their work locations in 2019 (updated April 21, 2019). Please note that information about mission teams changes often. Please do not make any plans regarding any of the teams listed in this schedule unless you have contacted the team leader or Patricia Martin in the Dominican diocesan office. Patricia’s contact information is below. Mission Trips Approximately 50 mission teams from the United States come to work in the Diocese of the Dominican Republic each year. Click here for an online photograph album of all of the teams that have arrived in 2019. The Diocese has an office dedicated to the planning and support of the work of mission teams, and the Dominican Development Group works in close cooperation with this office to facilitate the transfer of funds needed to pay for in-country meals and lodging, transportation, and program supplies such as construction materials. The DDG has developed secure and reliable methods to transfer funds internationally to the Diocese of the Dominican Republic that satisfy all U.S. Homeland Security banking regulations for such transfers. As a 501(c)(3) organization, the DDG can accept funds as charitable contributions under Internal Revenue Service regulations. Funds sent by individuals directly to the Diocese of the Dominican Republic are not considered charitable contributions under U.S. tax law. Pilgrimage Trips In addition to helping coordinate trips by mission teams to the Dominican Republic, the Dominican Development Group also sponsors pilgrimage trips twice each year. These pilgrimage trips (formerly called exploration trips) are designed to familiarize mission team leaders and others interested in the ministries and facilities of the Diocese of the Dominican Republic with many of those locations in a fast-paced, week-long trip that begins and ends at the Las American International Airport east of Santo Domingo. In even years, the general path of these trips follows a south-to-north direction, including several Episcopal facilities on the north-central coast of the Dominican Republic. In odd years, the path is generally west to east, including the Episcopal church, school, and medical clinic located in the city of Jimaní on the border with Haiti. The next scheduled exploration trip is planned for November 7-13, 2019. For a information flyer on the April 2019 trip, click here. For more information on pilgrimage trips, contact Bill Kunkle, DDG Executive Director, at (813) 400-2722 or <bkunkle@dominicandevelopmentgroup.org>. Patricia Martin in the diocesan mission team support office. 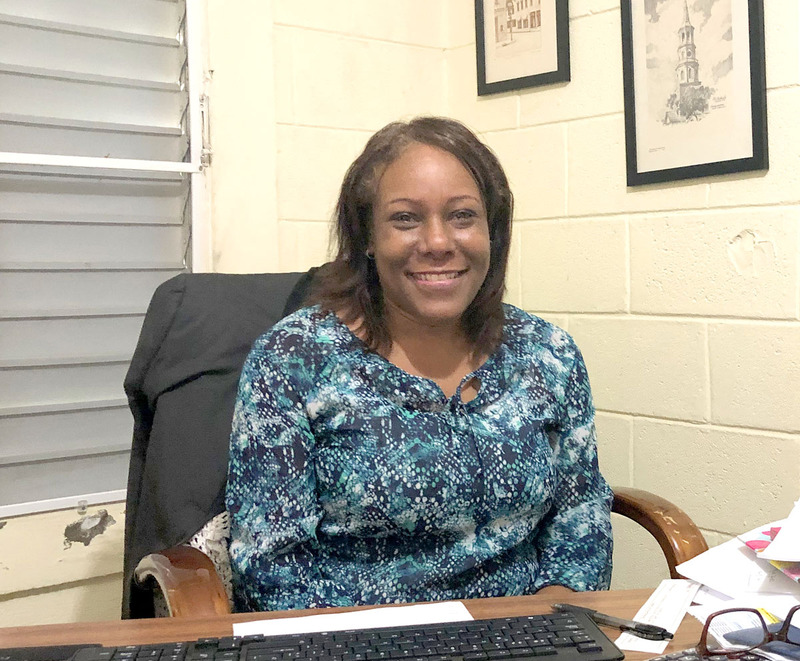 The Dominican mission team support office is led by Patricia Martin, a bilingual Dominican who has worked with the arrangements for mission teams for many years. She is assisted by Miquea Saintivil Luis, another bilingual Dominican who has previous experience working with mission teams in the Boca Chica region. Charlie Nakash, a full-time Appointed Missionary from the Diocese of New Jersey who specializes in coordinating construction projects, also works in this office. Karen Carroll, another Appointed Missionary who formerly led this office, retired on July 24, 2018, and has returned to the United States. 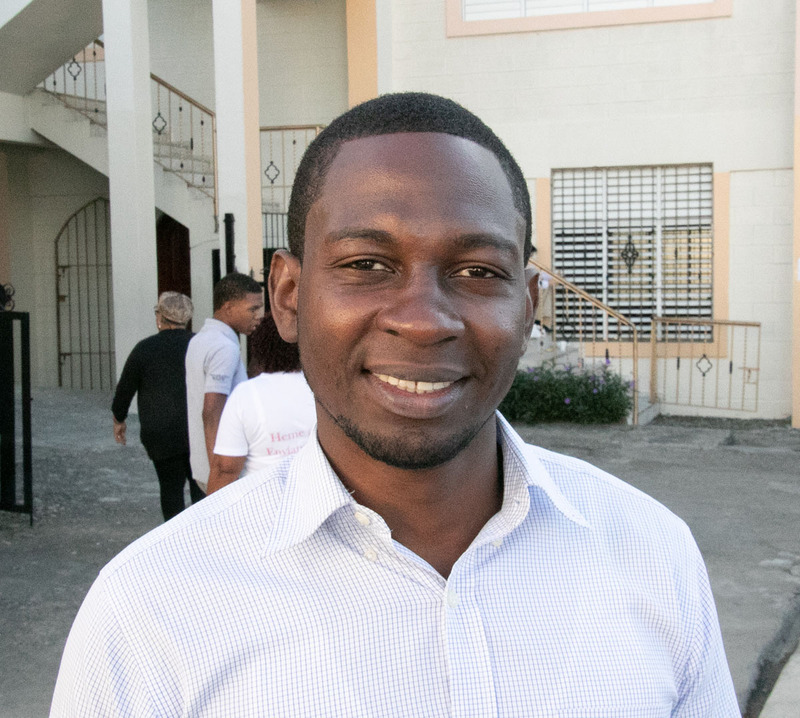 Miquea Santivil Luis, an assistant in the diocesan mission team support office. 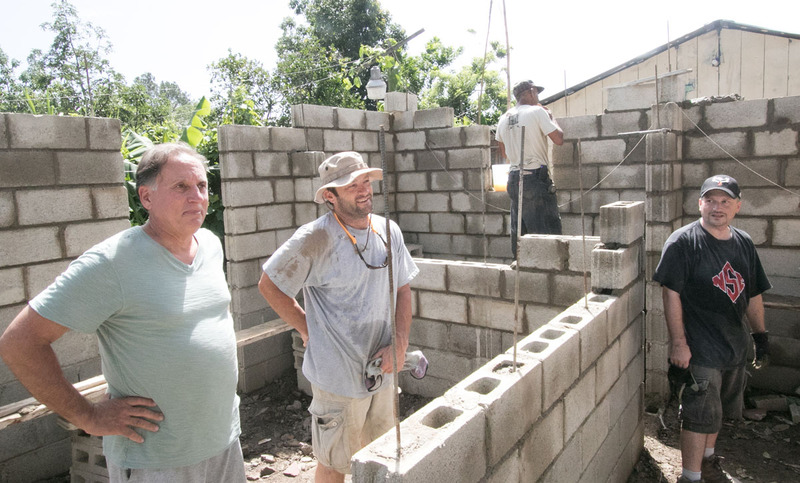 On left: Charlie Nakash with missioners working on building a house. The DDG has installed a toll-free way for mission team leaders in the US to call the DR Mission Team Support Office in Santo Domingo. Just make a call to the DDG’s office in Tampa FL (813 400-2722), select Option 3, and you will be automatically connected to the Santo Domingo office. The only charge to you is the cost of the call from your US location to Tampa. Telephone (To DR office in Santo Domingo via DDG office in Tampa, toll-free): 813 400-2722, option 3. Once planning for a specific mission trip has reached the stage where in-country costs can be calculated, the mission team leader will be instructed to mail a check for those costs to the DDG for secure transmission through international banking channels to the Treasurer of the Diocese of the Dominican Republic.